I'm going to try an illustration this coming Sunday, to try and show how faith operates in connecting us to Jesus. I'm posting it here for comments because I want to avoid accidental heresy, or confusion. The point I'm trying to illustrate is this: The Bible says faith is not meritorious in our salvation; but it is instrumental in saving us. Faith is not meritorious. That is: faith is not a work. We don't deserve salvation because we have faith in Jesus. But faith connects us with Jesus. Unless we put our trust in Jesus, we are not actually saved. So, faith is the instrument whereby Christ's benefits flow to us. 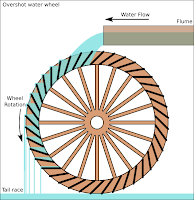 The illustration I'm trialling is: a water wheel. The power is in the water. That’s what makes the wheel go round. The pipe (the "flume") gets the water to the wheel. 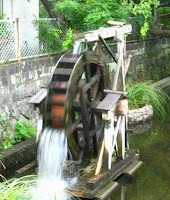 Without the pipe, the water wouldn't get to the wheel, and the wheel wouldn't work. But there’s no power in the pipe itself. If there’s no water in the pipe, the wheel won’t turn. The water, not the pipe, makes the wheel go round. Jesus is like the water. Jesus - especially in his death and resurrection - is God’s power to save us. Our faith is like the pipe. When we trust Jesus, we access God’s salvation power. We actually get saved. Without faith – if we don’t trust Jesus – we don’t access Jesus’ saving power. But our faith, in itself, doesn't actually do anything to save us. The power is in Jesus, not in our faith. 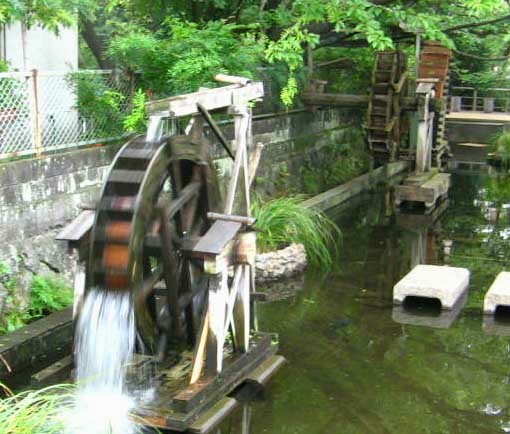 The water wheel is our personal salvation. When we put our trust in Jesus, he makes us to actually be saved - that is, justified, reconciled, at peace with God, adopted by him, part of his beloved people, with a sure hope of glory. To collocate a few Bible verses: We are justified by Christ alone, through faith alone – not by works (Rom 3:24, 27-30; 5:1; 1 Cor 6:11; Gal 2:16). What do you think? Feedback, please. Mate. I like what you're doing here. But it feels a bit too complicated. 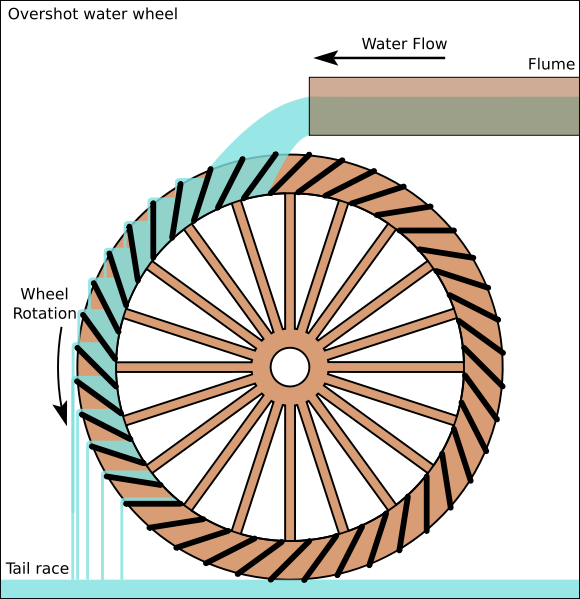 I'm not familiar with how a water wheel works so the first part of the illustration involves me learning something new. And then I don't really have a picture in my mind of that. So when you move on to the analogy, it gets lost in translation. It's a bit like the analogy that Jensen and Grimmond used for that preaching book that's doing the rounds at the moment. Good. True. But a bit too much to take in. Interesting. My great great great grandfather was a Methodist preacher. I recently found his life story. He often used the analogy of wheel and cogs in his sermons.He was born in 1802 and build the first textile mill in a Yorkshire village.